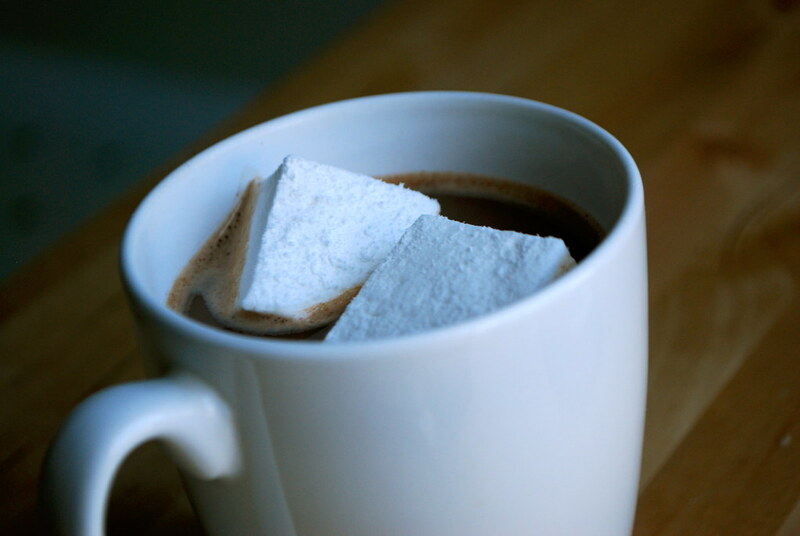 I have been on the quest for the perfect homemade marshmallow for months. I’ve always been a sucker for the jet-puffed variety, but when I tried artisan marshmallows from a local store, I was absolutely hooked. I set about trying to figure out how to make a batch this good at home. I tried the smitten kitchen recipe, hoping it would yield a springy marshmallow without my having to use a stand mixer (I didn’t own one). The results were good, but not great. The marshmallows sweated in the refrigerator, turning the cornstarch and powdered sugar coating crunchy and resulting in a slightly sticky mess. A month or so later, I tried to make a batch of the Baked marshmallows, with powdered gelatin and an electric hand whisk. Failed again, this time too dense, jelly-like, and still watery. Both of my marshmallow failures were probably due to a lack of equipment. Perhaps a stand mixer would have made my life easier. 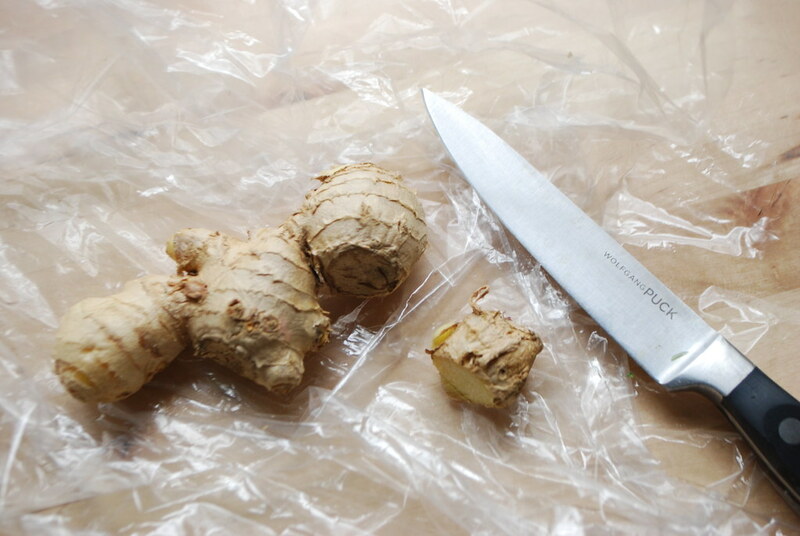 However, I wanted a recipe that was simple, and that I could make with the equipment I had at home. I was beginning to think I was out of luck, and that marshmallow making should be left to the pros. Enter the Alton Brown marshmallow recipe. It produced perfect, springy, soft-but-not-sticky marshmallows on the first try. 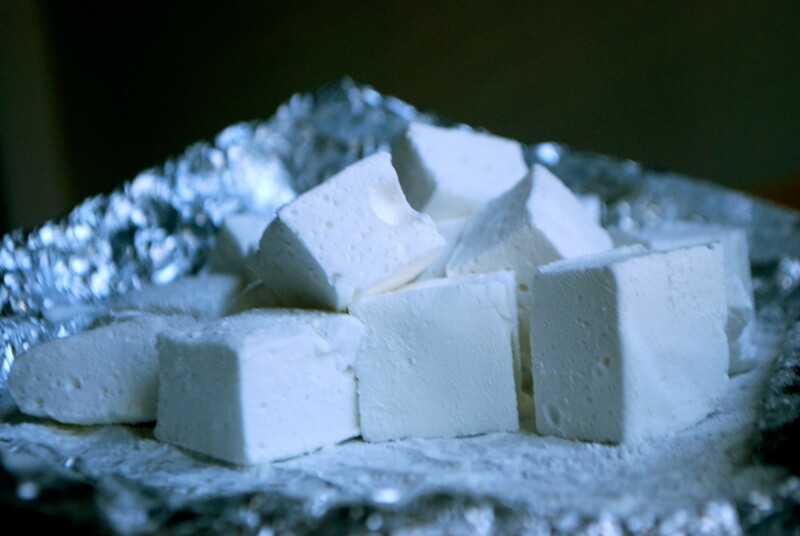 These were marshmallows I could eat every day, for the rest of my life. And while my first attempts at marshmallow-making had been daunting, I had learned the basic steps by now— it was easy. I used my electric hand whisk and stainless steel bowl in place of a stand mixer, and checked my sugar by hand as it cooked down (without a thermometer). I still had excellent results. You will get fluffier marshmallows with a Kitchen Aid stand mixer, though, so use one if you have it! Most of the broccoli soups I’ve had in my life have been cream of broccoli, broccoli and cheddar, or something else heavy and salty. They’ve always been too much for me. Too rich, too unbalanced. Then, last week, the guys at The Bitten Word made a post about the Vegetarian Times’ Sesame-Ginger Broccoli Soup. This got me thinking of pairing broccoli with flavors that lift it up instead of weighing it down. I loved the concept– an easy soup to keep you warm, with fresh flavors. This is a riff on that recipe. I’ve taken out the sesame and soy flavors, mellowed out the ginger, and added some citrus for acidity. 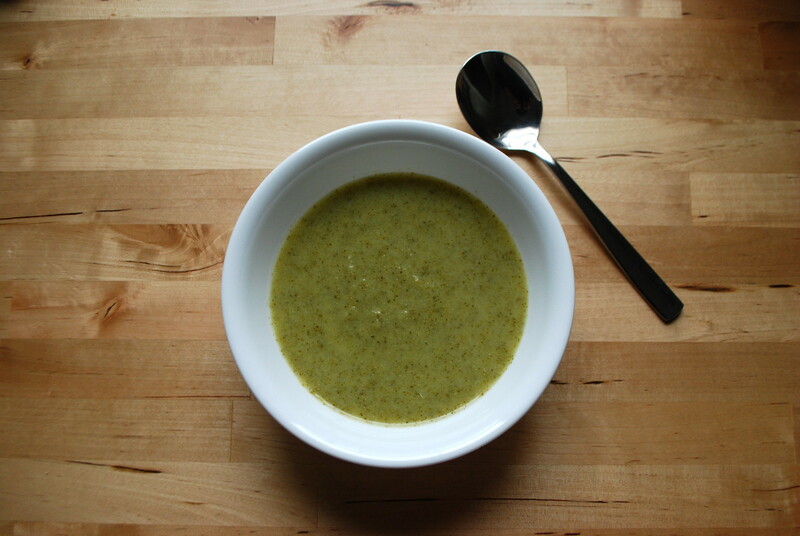 All of the broccoli gets pureed, meaning the soup is entirely smooth, not chunky. This is a soup that tastes like broccoli, and not anything else, while hitting all the same notes– clean, light, and refreshing. This soup is one that’s perfect for the warmer weather of early spring. It gets brightened up with a little bit of ginger (you’ll barely taste it) and more than a little bit of lemon juice (you’ll definitely taste it). Using both the broccoli florets and the stalk gives the soup a light green color. It should come as no surprise that these cookies are featured in my first blog post. These are the cookies that I have been making for years, regularly and often, sometimes for myself and sometimes to fill requests from friends and family members. This is a recipe that I swear by. Sometimes I even keep a little extra cookie dough in the freezer, for those chocolate-chip-cookie-craving emergencies. 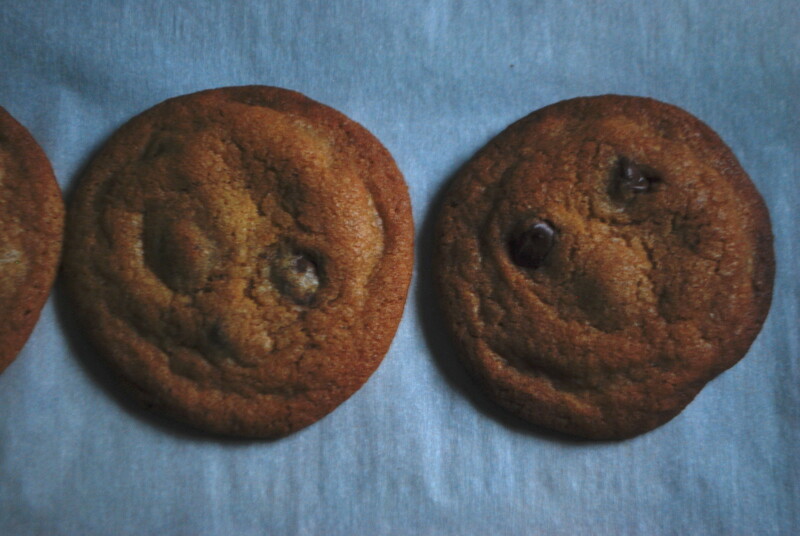 This recipe is from Cook’s Illustrated, and the title is theirs: “Perfect Chocolate Chip Cookies.” And, if you ask me, they are. Browned butter brings depth of flavor to these cookies. The aroma alone is incredible. The dough is sweet, but balanced by a touch of salt and high-quality semisweet chocolate chips. And while the recipe may have a few more steps than the typical cookie, the ingredients are ones you’ll probably have at home, and the few extra minutes of work are worth it. 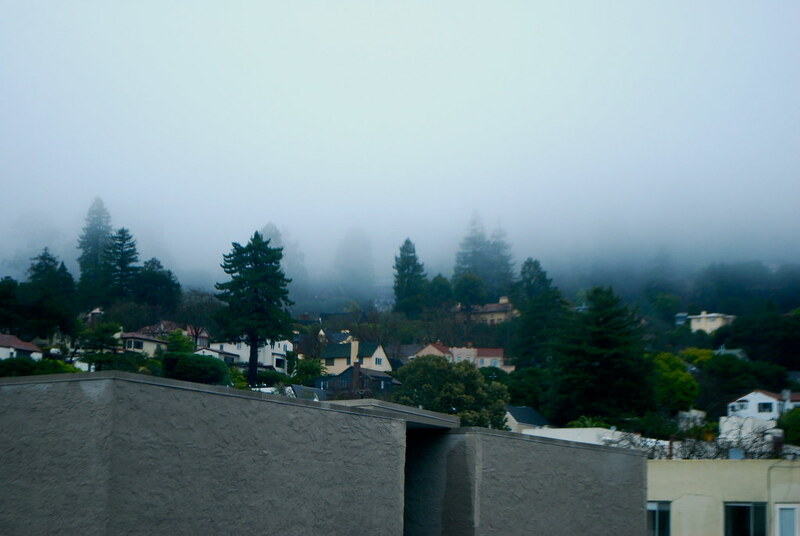 To make the most of the weather, I went on a rainy-day walk. These cookies made the perfect snack after. I mailed a few to my little sister for Valentine’s Day, and she loved them, too.